Don started his aviation career in 1954 when he attended the Manhattan School of Aviation Trades. Shortly after graduating in 1959, Don earned his Airframe and Powerplant certificate (A&P). Shortly after, Don was drafted into the Army where he began flying in a military flying club to earn his pilot ratings. Upon honorable discharge, he started working on his advanced pilot ratings using the GI Bill. As a result of years of hard work, Don is now a single and multi-engine rated Airline Transport Pilot (ATP), Certified Flight Instructor (CFI) with instrument and multi-engine ratings, Ground Instructor (Basic, Instrument and Advanced), and single pilot type rated on several jet aircraft including the Cessna Citation series of corporate jets. He is also rated to fly helicopters and gliders. In 1982, Don helped start Mid-South Airlines, a commuter service for Piedmont Airlines. Don started Aviation Consulting Services, Inc. in 1984 where he has performed thousands of pre-purchase inspections on all make, model and category of aircraft. Don has perfected his methods for performing prebuy evaluations down to a science, and ultimately led to the development of The Prebuy Guys. Don has an contagious passion for aviation coupled with a strong desire to help people. Today Don has over 58 years of maintenance, inspection, and flying experience. Along with performing pre-purchase inspections, Don also provides a variety of aviation consulting services to Part 121, 135 and 91 operators, corporate flight and maintenance department audits and "How to" Prebuy Courses. Don is also a speaker for the FAA Safety Team (FAST), and has been an expert witness in a number of aviation-related court cases. 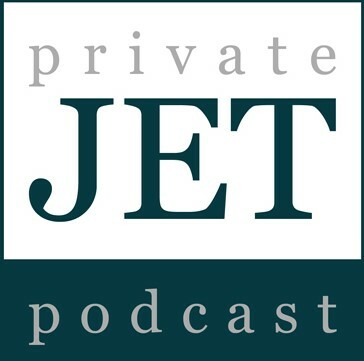 Don has also been featured on a number of aviation podcasts such as the Private Jet Podcast and The Logbook. Click the images above to listen. He has also performed pre-purchase inspections for the Aircraft Owners and Pilots Association (AOPA) annual sweepstakes airplanes and featured in a number of AOPA articles. To hear Don's podcasts or see Don's videos, click here.